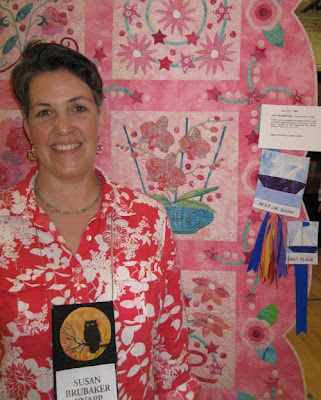 The Lake Norman Quilters’ show is this Friday and Saturday in Mooresville, NC. Grace Howes and I are both members of this group. It is going to be a beautiful show, with more than 230 quilts. If you are in the area, I do hope you’ll come! For directions to the show or more information, please go to the Lake Norman Quilters’ webpage. It contains a downloadable PDF with a map and general information.